Magnolias and Men M/M Romance With a Southern Accent: Giveaway for P.D. Singer's Upcoming Novel! Hurry over to Stumbling Over Chaos to get your name in the hat for a copy of P.D. 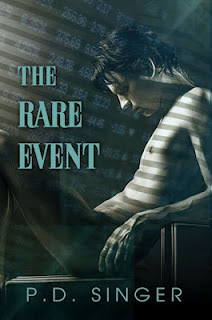 Singer's upcoming release, The Rare Event. I was fortunate enough to get an early read, and wow! What a book! I've convinced her to come visit closer to release day for a guest post. Be looking for that this weekend, but in the meantime, the drawing closes on March 29, and Dreamspinner will release the book the next day.